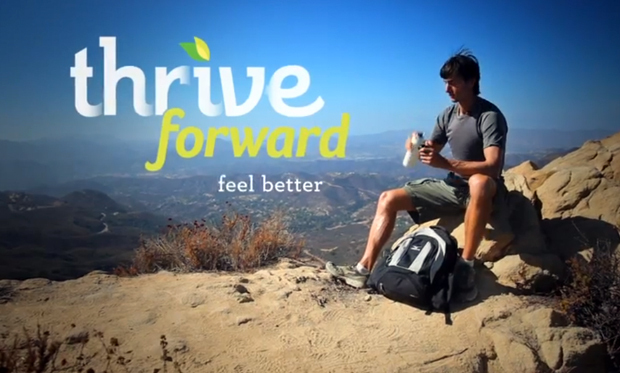 While the big junk food companies like Coca Cola are busy health-washing us with sophisticated ads claiming that their products are healthier and safer to consume, whole foods experts like Brendan Brazier and his team are growing their global influence with amazing products and programs like Thrive Forward. Thrive Forward is a new and free personalized online program to help you get healthier with plant-based nutrition — no matter what your health condition or where you are in the world. I tell you, this online program is the highest quality of its kind that I have seen. Brendan Brazier is a former professional Ironman triathlete and two-time Canadian 50 km Ultra Marathon Champion. He is recognized as one of the world’s foremost authorities on plant-based nutrition and is the best-selling author of the Thrive book series. He believes, as do you and I, that if you want to feel better, it all starts with eating better and builds up from there. In Thrive Forward, Brendan presents more than 40 brilliant closed captioned video lessons on topics like Clean Eating 101, Digestion, Mood, Sleep and Stress. The lessons are short and to the point (3-4 mins each) and the footage is stunning. Just to watch Brendan performing in the videos is enough to motivate me to watch every lesson. You will access tons of recipes, supplemental material and resources to keep you, as Brendan says, moving forward in small steps that will have a global impact. Looking for quality nutritional shakes and snack bars? Check out Brendan’s award-winning Vega line of clean, plant-based nutritional products like Vega One bars and all-in one nutritional shakes that have been well-researched to serve our energy needs. There’s lots for sports lovers too. I particularly loved the Chocolate Cherry Bars but I started to snack on them a bit too much, so now these are restricted to once in a blue moon. Anybody tried the Vega stuff or know about Brendan Brazier? Brendan Brazier’s products and books are amazing! They have really made it a lot easier and more convenient to have a balanced diet as a vegetarian/sometimes vegan athlete. I can’t get enough of his stuff. Love the post! Glad to hear you share the same thoughts about Brendan Brazier. Thanks for writing in.